Late last year, I was approached by Walt Hackman to read and review his book, No Problem, Mr. Walt. Which was absolutely not my kind of book, but there was something about it that appealed to me. I’m glad I did, it was quite a tale. I reposted my take on it earlier today, in honor of the book launch tomorrow. Walt was kind enough to take part in a Q & A with me — which was enough to make me want to re-read the book. Hopefully, it convinces some of you to give it a first read. I’m always interested in the writing process, why writers make the choices they make along the way — why did you decide to approach your story by mixing Chinese history with the story of your junk? For that matter, why did you decide to Where there some anecdotes/memories that you wanted to put in the book, but couldn’t find a way to fit them into the narrative? Care to share any? Yes, there are a few but these stand out: the initial draft included poetry that I wrote depicting experiences I had such as the bus ride in Chapter 23. However, the editor felt including them would take away from the story’s narrative so I kept the content they included but the poems themselves were removed. More importantly, my journey began with the sudden death of my only son Wally, which is something I find very difficult to talk or write about even to this day. I feel there are no words adequate to explain the anguish, sadness and magnitude of our loss. Those parts of the story that dealt with “Rebuilding a (my) Life” were tough for me to write (and rewrite). That being said, Wally’s death was the catalyst that propelled me on that improbable journey and is an important part of the story even though I only talk about it briefly in the Preface. I did the best I could to address it but feel that in a future revision I might find a better way to tell that part of the story. My daughter Lynn is a writer and owned the Mei Wen Ti from 2000 to 2008, I think hers might be the voice that best explains that time in our lives and we’ve been discussing a collaboration. What was the biggest surprise about the writing itself? Steven King said in On Writing, “….I believe the first draft of a book – even a long one – should take no longer than three months, the length of a season.” For me, my biggest surprise was how long it took me to write the book. Not months but years! I tell people it was easier to build a boat in China than it was to write a book about it. Even though I approached my writing with discipline, I found it impossible for me to write a fixed amount daily or weekly like King suggested. I set a goal and really believed that I would get the book completed before the China Olympics in 2008. But looking back, I would still do it all over again because this project has never been about notoriety or money, I have always thought it could be a good story that people might enjoy. A lot of what makes a writer are the books that he’s read — what books in particular do you think made you the writer you are/the book the book it is? (other than the books on Chinese history, etc.) . Before starting the book, I read Steven King’s On Writing. One of his main points is that generally, if you want to be a good writer you must be a good reader. I’ve always been an avid reader but I began reading a lot more beginning with every book Steinbeck ever wrote. Somehow, knowing I was going to write a book caused me to notice writing subtleties and styles that I liked. After all the Steinbeck, I read Hemingway’s Boat, The Sun Also Risesand A Farewell to Arms, etc. Even though King’s On Writing is centered around writing fiction, it helped me and I often referenced it along the way. 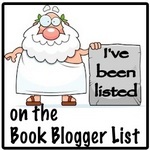 You’ve lived quite a life — is there another book in you? The answer is yes. I have given this more thought than you can imagine. I’d like to write a revision of No Problem, Mr. Walt that would meet approval for sale in China (i.e. tone down any reference to Communism that might be viewed as “unfavorable”) And similar to how I included Chinese history for western audiences, this version would be a juxtaposition that includes U.S. history and customs. On my trips to China, people were fascinated about the junk (surprisingly, you don’t see a whole lot of them especially the size and style of the Mei Wen Ti) and the fact that I was even there building it. Junks (sail boats) have not been built in China now for many years since the introduction of modern engines. Many people I met wanted to know what I was doing in China, why I walked to the bus station and rode the bus, why I was wearing cowboy boots, if I liked the food, if I could tell them about California, why the U.S. was selling our latest jets to Taiwan, etc. Lastly, I believe the book is a simple story that the current generation of Chinese people would enjoy. The collaborative work with my daughter is also a possibility since No Problem, Mr. Walt ends with the delivery of the Mei Wen Ti on the docks in San Pedro. The story that proceeded to unfold after the Mei Wen Ti hit U.S. soil (or rather, water) is a unique one all its own! Reposting this in honor of the book launch tomorrow. This’d make a great Father’s Day gift, for those looking for something that’s not a tie. . .
Walt Hackman led an interesting life — sometimes, too interesting. At the age of 55, while trying to decide how to move forward from some major life changes and recover from a great tragedy, he decides to fulfill a long-held dream and move onto a boat. The question was only: what kind of boat? He decides on a Chinese Junk. And then proceeds to figure out how to get one built for him — not a replica, not a used Junk — but an authentic, Chinese, made they way they’ve been made for centuries, built just for him. The process was long, involved, troubled, and confusing. Which is works out well for the reader, because it makes for an interesting story for Walt to tell. He walks us through the process involving banks, embassies, multi-national shipping, translators (professional and not), engineers, trans-pacific flights, and a whole lot of tea. But it’s not just a story about getting his Junk built — it’s a story about Hackman learning how to get things done in China, what he learned about the culture, and how he applied that. For me, this was the most appealing part (really, as interesting as it was, the boat portion of his tale was pretty straightforward). Hackman did a lot of research into Chinese culture and history — and shares that with his reader. You could get a quick and dirty understanding of Chinese history just by reading the little his chapter introductions. But it’s not just about the big things like the Great Wall, the history of Chinese shipbuilding, various leaders, and whatnot — he talks about culture — the need to make sure everyone saves face in a discussion (and how to ensure that), and even Chinese singing and fighting (??) crickets — which are sometimes kept as pets, in tiny little boxes. It wouldn’t be a book about international travel, business, and misunderstandings without some travel horror stories — but wow, he had some doozies. Which is probably why those kind of stories are so ubiquitous, they’re great bits of temporary drama that everyone can relate to. They’re also great reinforcement for those of us who aren’t that into travel to stay home. Second only to travel horrors, are stories about food when it comes to narratives about other countries/cultures. Hackman described both restaurant and home-cooked meals. He gave a lot of detail about home-cooking — both by his Chinese-American friend and her family in China. Also, thanks to an encounter Hackman had walking around and talking to strangers, I learned more about the traditional way to prepare duck than I ever wanted/needed to know. Most of us have seen enough travel shows, documentaries, etc. about China to get the idea just how foreign a land it is to Western eyes (even The Drew Carey Show sufficiently demonstrated that), and Hackman’s descriptions helped reinforce that. But more effective was his bringing things like coming home to the aftermath of the L. A. Riots (that he had no idea were happening) demonstrated the contrast with his time in China and underlined how otherworldly it can be over there (although in the age of 24-hour news cycles and smartphones, that might not be as stark now.). It’d be easy to expect this book to be an exploration of Hackman’s dealing with the emotional and familial hardships in his life — but nope. It’s just what it promises: a story about a man trying to get a boat built. That other stuff happens, you can tell, but that’s not what this book is about — part of me would’ve like to see how his construction project helped him find the distance or whatever he needed — but I just found it refreshing that he didn’t use this story as an excuse to deal with all that in print. Actually, now that I think of it — that’s pretty typical of Hackman — he doesn’t share his thought process (by and large) with the reader. We don’t really get an explanation for his choice of Chinese Junk, just that after some thought, he picked that. We see the results of his thinking, we see some of what his research (both via book and being around the culture) have taught him — but we get almost nothing of the process. Now, that’s a strange approach for this kind of book (at least by current standards), but it works. 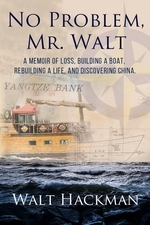 The book’s subtitle is: “Building a Boat, Rebuilding a Life, & Discovering China.” Well, Walt Hackman does all three, but we really only get to see two of those. Building his boat and discovering China are enough to carry the book, and allow him to do the rebuilding. This is not the kind of book I normally read, but when Hackman contacted me about reading an ARC, something about it made me sign on — and I’m glad I did. It’s a fascinating book and an easy, rewarding read. Give it a shot, I think you’ll be pleasantly surprised. 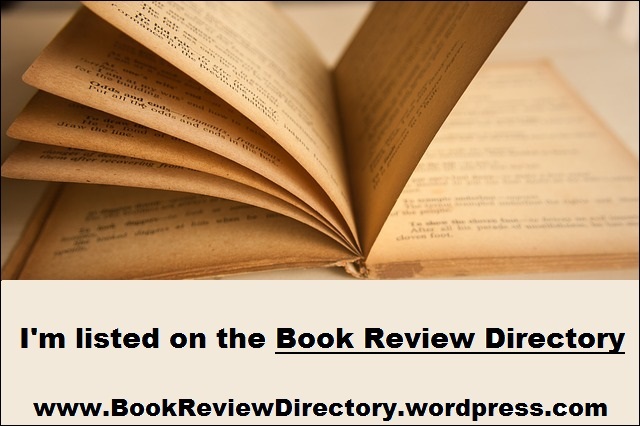 Disclaimer: I was provided an Advance Reader Copy in exchange for an honest review – I still might end up getting a hard copy, just so I can have that cover to look at easily (can’t tell much from that thumbnail, but it’s great – click through to the website and check it out). * I’m not trying to make light of everything Hackman was going for, his crises were a lot worse than most.